How in the name of god do you remove the flywheel? I'm currently doing a clutch job on my truck and I cannot remove this god damned flywheel. I've been spraying the bolts down daily and taking a breaker bar to them but its virtually impossible to do since the flywheel spins freely. Normally I would just put a second breaker bar on the front of the crankshaft but on the 3.0 engine there is not enough clearance with the engine in the car to do so. Any suggestions on how to get this done? I usually use an electric impact. The DeWalt one I have will spin them right off. If you don't have access to an impact, you'll need to use a flywheel locking tool. They usually have a prong that locks in the teeth and you hold that to keep it from spinning. You can rent them from AutoZone/O'Reilly. You absolutely need some sort of impact tool, or you need a helper to hold the other end of the crankshaft still - a socket and breaker bar on the front pulley will be fine. Wedge it against the frame if you don't have a helper. The flywheel bolts are NOT super tight, you're just going at the process the wrong way. Worst case, pull the fan and shroud to get some wrench clearance up front. Deepwell socket and breaker bar to the frame rail works great for me. Be sure you don't forget about it after installation. All my room mates are out of town this weekend so I don’t have anyone who can hold on to the crank right now so I’ll have to find a place to let me rent an impact wrench. Thanks everyone. 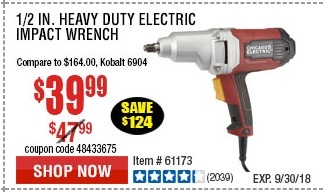 Harbor freight sells a cheap corded impact wrench that would be perfect for the job. Just let the breaker bar on the front of the engine come against a frame rail. Works great. You can impact them off but you should torque them going back together, either way you are going to need a breaker bar. Old Norwegian torque spec goodntight isn't OK?